Receive VIP news & discounts about our upcoming retreats! May 27-June 2 0r 5, 2019 Bali (7 or 10-Day) Life as Art: Nature, Culture & Yoga Adventure Retreat ​Visit here for more information. July 29-August 5, 2019 Costa Rica (7-Day) Nature, Culture & Yoga Adventure Retreat ​Early Bird rates until April 30, 2019. Visit here for more information. Thanks for the great (Costa Rica 2014) retreat! Yoga twice a day was fantastic, even for a newbie like me....Great people, food, and memorable experiences. It was a perfect spring day to hike and practice yoga outdoors. Michelle always delivers clear instructions and provides the right amount of push to try new things, on and off the mat. The drum circle with Delton Davis was very engaging and the vegan cheesecake by Britt Moore was just delightful. So glad I went to the (Spring 2017) retreat! Root 2 Rise Yoga retreats aim to facilitate a deepened connection between Self and universal wisdom immersing you in the culture, people, traditions, nature, food and arts of the places we're inspired to visit. We pre-visit and choose retreat locations that promote a balance between your choice of inner reflection and opportunities to mingle with locals and other adventurous travelers to experience genuine cultural exchange. Our chosen accommodations are comfortable and in safe locations within walking distance of fun places to visit and explore to be a part of the local community. We mindfully support the local economy, arts and environment where we travel whenever possible and hope to foster appreciation for diverse cultures and understanding of our essential oneness as humanity. January 17, 2016 Creative. Vibrant. You. 2nd-Annual New Year Retreat in Monrovia, CA. January 20-22, 2017 Embody Creative Grace, Women's Weekend Retreat for the New Year in Ojai, California. 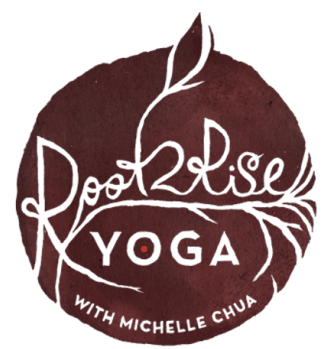 December 16, 2017 Release & Revel, Year-End Mini-Retreat Flow & Restorative Yoga with Michelle Chua and 5-Rhythms Freeform Movement with Daniela in North Hollywood, CA. January 14, 2018 Root to Rise! Align with the flow of your intentions in this 1-Day New Year Retreat in Whittier, CA.